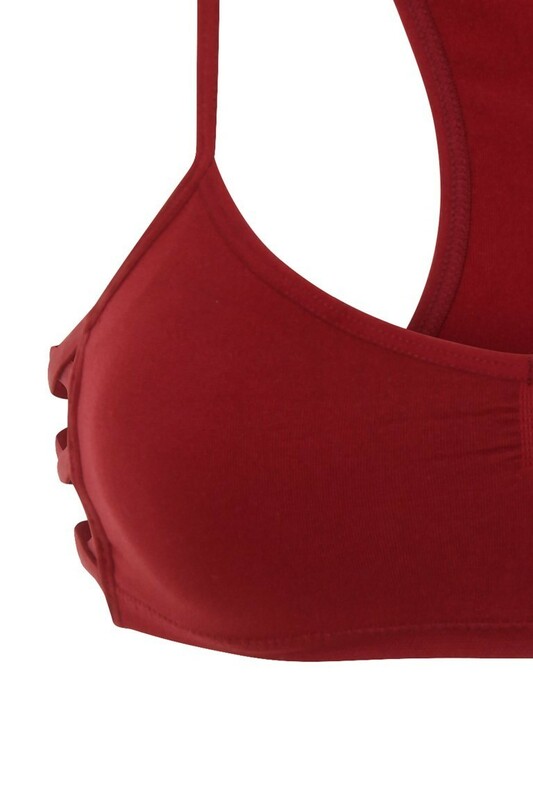 Ladies fitness seamless burgundy cropped top. Featuring flattering side 3 strap detail, racer back detail and removable pads. More colours also available. Matching fitness leggings also in this range. Available in sizes S,M,L. Comes in packs of 12.